Your business’s website is your shop window on the web, so it needs to be the best it can be. It is the first thing many potential customers see and it’s a big part of what will persuade them to use your business. Our creative, original and results-driven approach to web design benefits your business directly, making it stand out from the crowd and directs website users where you would like them to go. You will need a site that gets results and my websites get them. Built with your aims in mind a website built by me will deliver, whether it is getting sales, gaining leads or just showing your brand to the world. As your business grows, your site also becomes a home on the internet – somewhere your business can live; where colleagues, customers and connections can interact with you and learn what is going on. That’s why Sam Hollis Web Design creates and maintains websites that are not only top quality, they are also dependable and tailored to the needs of your organisation. I make sure that your website is as unique and hard-working as your business. Bringing customers to you and helping you communicate effectively over the web. Larger, successful businesses need websites with advanced functionality and design they can rely on. That’s why I design my websites around the user, with the aim of giving them a memorable experience that leads them to stay on the site, learn about the business, make purchases and tell their friends and colleagues about it. The options are endless for a Bespoke Website, but here are some examples of the services that could be included on your website. Automate your appointment booking system in a way that’s simple to use, integrates with your current calendar and saves you time. Do you want to share your skills with others? I can make a learning platform an integral part of your website. Your Website can have a secure members’ area with access managed through an online payment system. Membership could be single tier or multi-level. Your Website can show different content to different users, depending on their profile, for maximum impact. A blog really helps to keep you in touch with your customer base and shows your authority in your specialist area. The regular updates and additional content on your website really help you to be found on Google. Your site can be a portal for selling goods and services. This can be set-up in a way that is easy to use, has low fees and maximises revenue. If you run courses your website can become an integral part of the course management, automating many processes for you. An easy to use and powerful booking system can be integrated into your website that automates and manages all stages of the booking process. Your diary will be kept up to date with the latest bookings. The service provided by Sam Hollis Web Design is bespoke for your business or organisation. This can range from building a simple website and providing hosting to a complex multi-service site with ongoing SEO, maintenance, management and update work. The scope, scale and price of the project is tailored around your needs and budget. All projects start with a face to face meeting (or video conference call for clients further afield) to find out what you really want from your website and how that can be delivered within your budget. Honesty is one of the core values of Sam Hollis Web Design. When pricing a website we will give you an exact price of the project and of the ongoing costs. Nothing is hidden and nothing is added as the project progresses or as it becomes live. 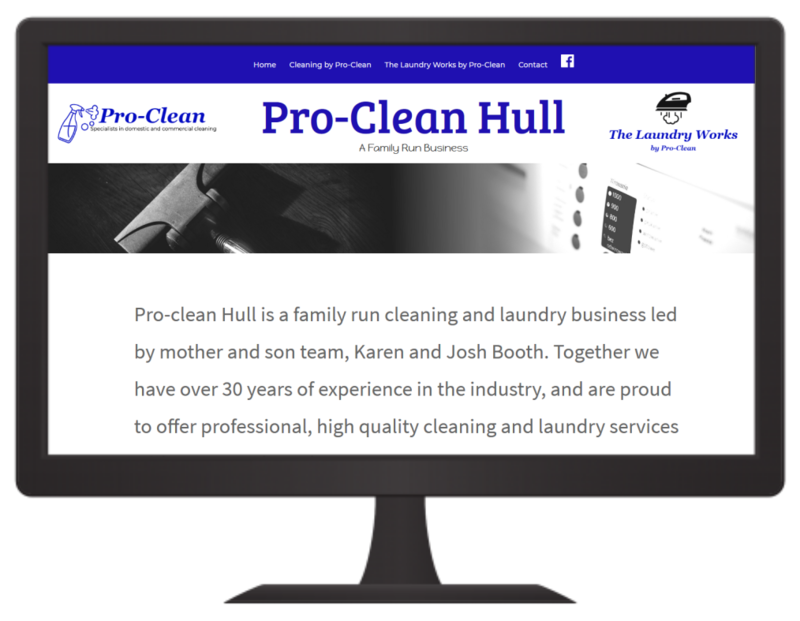 “We absolutely love our fresh, modern website that Sam designed for us. The whole process of working with Sam from start to finish was so simple and a pleasure. He listened to our requirements and gave us exactly what we needed from a website. 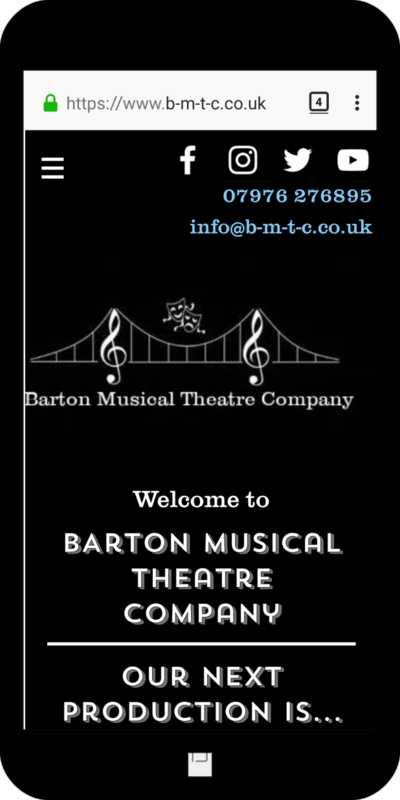 As we are a musical theatre group, we also required the website to work as a platform for selling tickets. We did not know how simple this could be, but Sam got it all set up, showed us how it all worked, and we were away. As a non-profit organization, we were also on a budget, but Sam helped us to stick to this by suggesting cost-saving ideas such as only using the ‘ticket selling’ feature the months that we required it and not all year round. “In business trust is a key element and I base my business on exactly that. We believe in treating all our customers equally and fairly and giving them benefits for the lifetime of them being with us. I had met Sam on a number of occasions and he appeared honest and reliable. 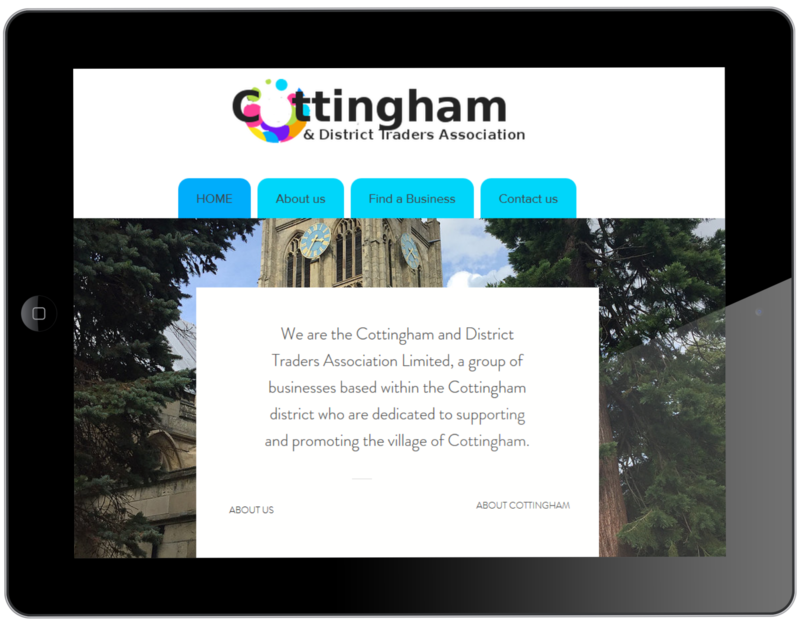 I asked Sam to develop the new website for Cottingham and District Traders Association. The process of producing the website was very clear with Sam clearly explaining every step of the way. There was no jargon and no hidden costs, just a transparent process with a great result. The aftercare is also excellent. Your Website can be a portal for selling goods and services. This can be set-up in a way that is easy to use, has low fees and maximises revenue.